Whenever disaster strikes, our team is ready to respond. A multi-family housing complex experienced a fire in several units. Fire restoration and clean-up is a lengthy process that includes both the structure and contents of a home. Mold damage can be quite extensive and sometimes hidden from view for years. 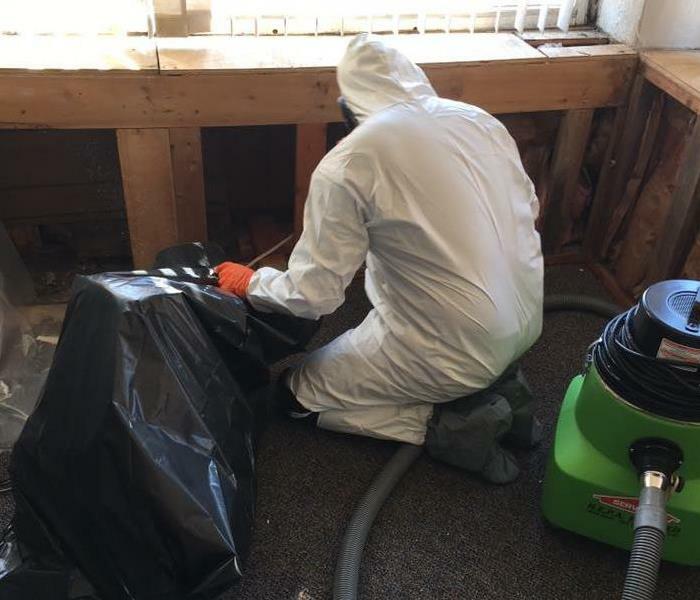 Our team was called in to clean up mold from a historic downtown building. With the right tools and proper training, our team was able to remove and clean the building. What's In Your Walls and Ceilings? Sometimes water damage is not visible to the naked eye. A roof leak caused some damage to the home and heavy rain caused water to flow into the kitchen area of the home. 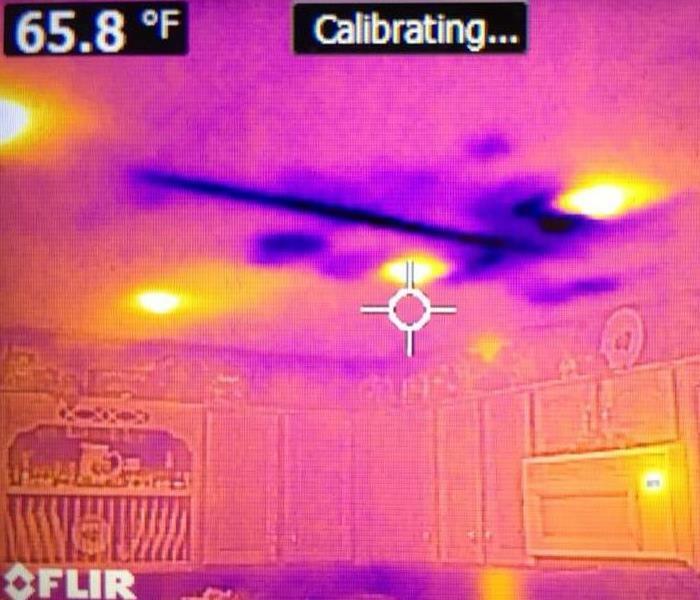 An infrared camera provided photos showing the intrusion of water into the ceiling area. Customer called with a toilet line leak on the second floor. 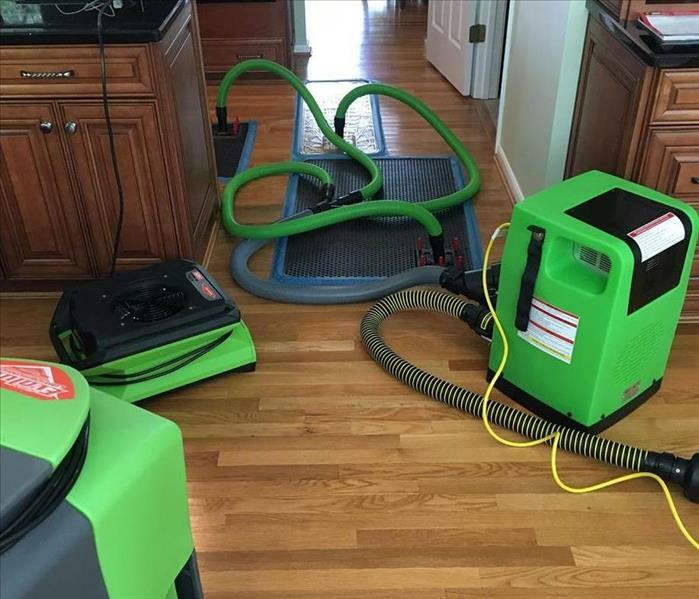 SERVPRO arrived to address concerns of the wood floors. We used the injectidry system and started the drying process. A customer called with a small water damage in their home, caused by a second floor utility sink leaking to two floor levels. SERVPRO arrived, assessed the damage, and started the drying process.